We can come to you with our portable trailer, or we have a purpose built facility at the Clinic. We are trained in all areas of equine dentisty, from maintaining dental health in performance horses, through to corrective filing and extractions. We are committed to providing quality dental care to your horse, with the minimum of stress to you and your animal. 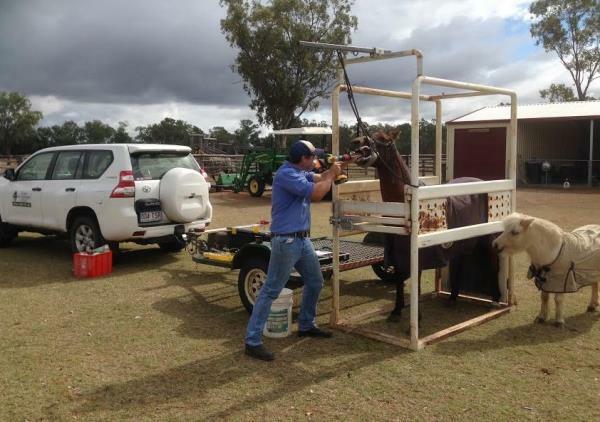 On farm equine dentistry available using our portable horse crush and Powerfloat.